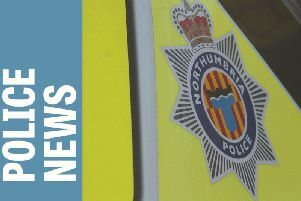 Police across Northumberland and North Tyneside have revealed how they take down burglars, despite their best efforts to outsmart the force. From burglars dressing in disguises to fool vulnerable victims, to capturing prolific offenders with the help of police dogs, officers working in Northumbria Police’s northern burglary team have tackled it all. Detective Sergeant Dave Boon has now revealed the impact these crimes have on victims and how police and partners support them. He said: “Burglaries are a very personal crime. To come into someone’s home – often when people are sleeping – is incredibly distressing and can have a lasting impact on victims. “Here in Northumbria we take a strong and robust stance on these types of crimes and we have specialist teams who tackle them and bring offenders to justice. Officers have also recovered thousands of pounds worth of items taken from homes and premises and reunited priceless items with their rightful owners including family heirlooms, photographs and even a loved one’s ashes. Among the notable convictions was 50-year-old Colin Dowse, of Newcastle Street, North Shields, who was jailed for two years and seven months for burglary at a chemist in North Tyneside last year. Another was 31-year-old Steven Brown, of Borough Road, North Shields, who was jailed for three years and three months after committing a number of burglary offences in North Shields last year. The public are encouraged to contact police to report any suspicious behaviour in their local community by visiting www.northumbria.police.uk or calling 101. You can also report suspicious activity anonymously through Crimestoppers on 0800 555111.